Jennifer Litwin is responsible for spearheading the Firm’s relationship management and marketing initiatives with key decision-makers at select priority buy-side institutions and is a frequent speaker at industry and investor conferences. Prior to joining the firm in 2007, Jennifer was a senior sales-trader on the Synthetic GIC desk at UBS Investment Bank. 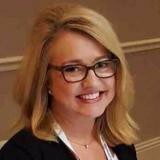 She began her career as an Associate in the Operations Group at AIG Financial Products Corp. Jennifer is a recipient of Traders Magazine Wall Street Women, A Celebration of Excellence 2012 - Crystal Ladder Award and was elected to the National Organization of Investment Professionals (NOIP) in 2016. Jennifer is also a professional opera singer and earned her Bachelor and Master of Music Degrees at Oberlin College Conservatory of Music and Yale University School of Music, respectively.